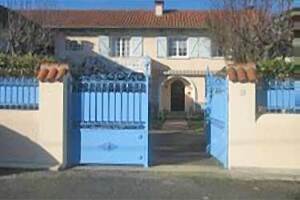 Maison La Carrere is situated in the small village of Bordes, at the foot of the Pyrenees. It;s a suitable place for numerous summer and winter activities or just to escape the daily stress. As a result, a perfect location to spend your holiday or to rest a couple of days before continuing your journey to the south of Spain. We offer you: 3 double rooms, each provided with its own bathroom with shower and toilet Outside you can find a beautiful garden , a pool where you can relax and enjoy sunbathing.